5 books in a gift box presentation set. A great present for Christmas or birthday. Each book has 10 short biographies of inspirational lives which will serve as an example and includes fact files, prayer suggestions and quizzes. Lightkeepers Girls Boxed Set by Irene Howat was published by Christian Focus Publications in November 2007 and is our 1477th best seller. 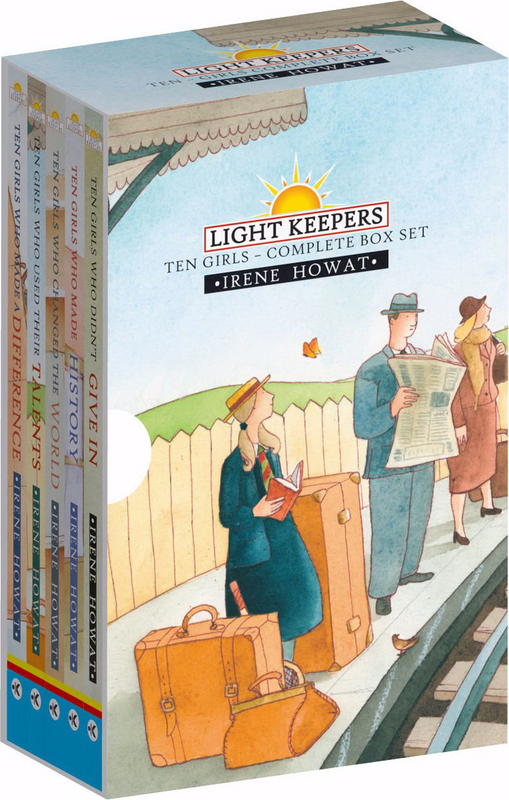 The ISBN for Lightkeepers Girls Boxed Set is 9781845503192. Be the first to review Lightkeepers Girls Boxed Set! Got a question? No problem! Just click here to ask us about Lightkeepers Girls Boxed Set. What are the stories in the Lightkeepers Girls Boxed Set and who are they about? A:The five stories in the Lightkeepers Girls Boxed Set are: Ten Girls who Changed the WorldTen Girls who Didn't Give InTen Girls who Made a DifferenceTen Girls who Made HistoryTen Girls who Used Their Talents Details of the girls mentioned in each of the books can be found in the product description of each individual title. What age group would you suggest for this? A:This is recommended for ages 8 to 12. The real strength of the series the quality of the writing -it is so engaging. Browsing through the chapters I had to tear myself away from each paragraph I set my eyes on. For too long our children have often had to put up with second best in their reading of Christian literature. Good intentions are not enough, but here we have books that conform to the best standards of secular reading and are excellent exemplars of Christian living and challenge.